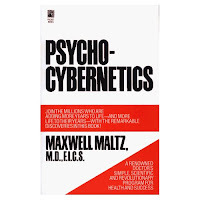 Famously turned into a catchphrase for World Class Commissioning by Gary Belfield, this quote first came to my attention as the subtitle (on the front cover) of Maxwell Maltz' book "Psycho-Cybernetics". This is one of the founding books of NLP (Neuro-Linguistic Programming), first published in 1960, and holds the premise that you create your future by what you focus your attention on, desired or reviled. Doesn't this just apply in work! If you have a concern about something, then that thing turns around and justifies that concern. If you respect people and expect the best from them, you often get the best from them. The Benefits approaches that I'm outlining here are all about identifying what you want, and so expecting to get it. In traditional project management some of the key focus is on what you don't want, with risk logs, and standards below which you should not fall (tell a child "don't slip" and their mind doesn't hear the "don't"), and so on. Of course traditional project management is vital to delivery of successful programmes, but meeting the numbers, meeting the deadlines isn't quite as inspiring to highly vocational people such as the caring professions as one might like. But look at benefits. Benefits are those things that one or more stakeholders sees a value in. They are inspirational! It's easy to see when they are being achieved (yes I know I haven't finished publishing the Benefits Frameworks agendas especially the bit about Benefits Register), it's common sense to see why you would want them, and therefore they are going to pack more punch, gain more power in the mind (and according to Maltz, come about because of human's goal-seeking engine). Use a benefits approach to deliver, and the results may astound you!